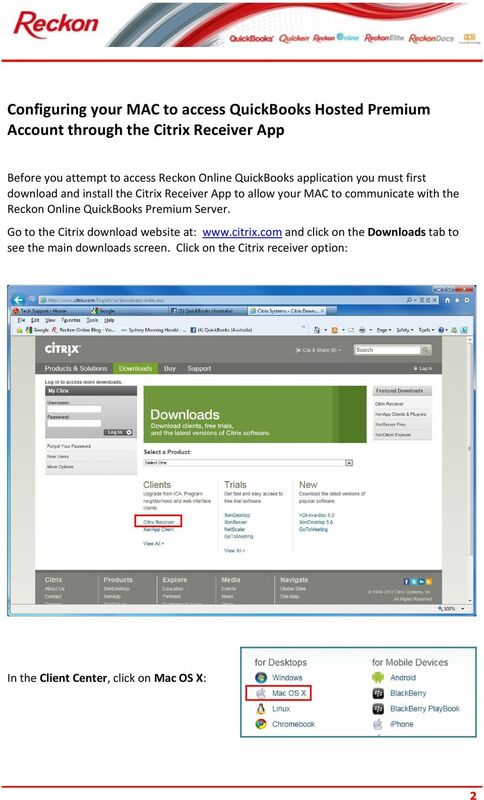 Download "Preparing your MAC Computer to access QuickBooks Hosted with the Citrix Receiver or Online Plugin"
1 Please Note: While we try to provide you with the solution you need, we can t promise that the information set out below is totally error free or will necessarily resolve any problem you may have. 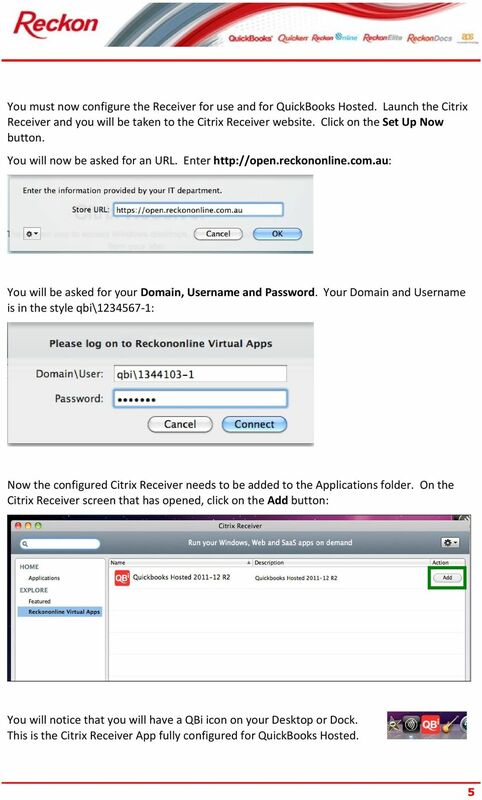 Preparing your MAC Computer to access QuickBooks Hosted with the Citrix Receiver or Online Plugin This guide is for users wishing to access Reckon Online QuickBooks application through a premium account from a MAC computer. 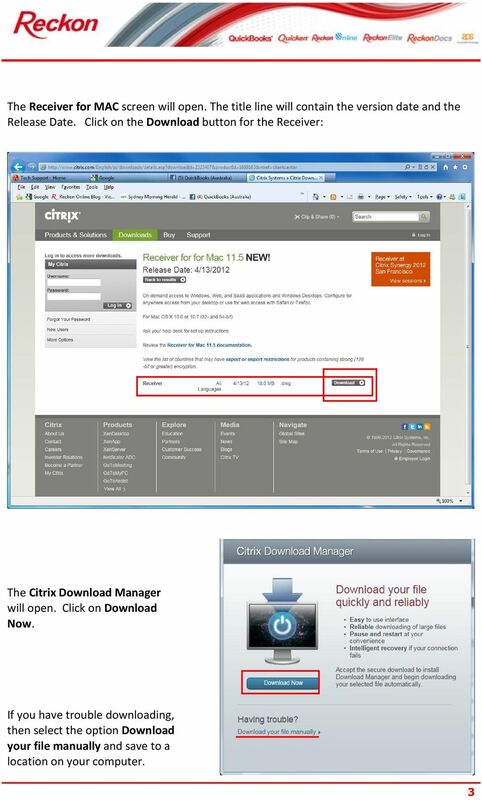 Citrix Technology enables devices of one system to access applications on another system which under normal circumstance are incompatible. 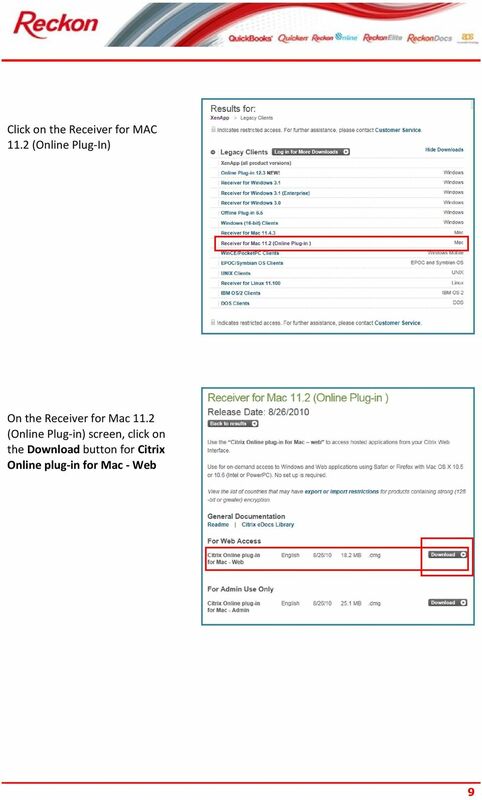 With Citrix you can connect devices such as MAC computers, ipads, iphones, Android devices and Blackberry to QuickBooks Hosted. 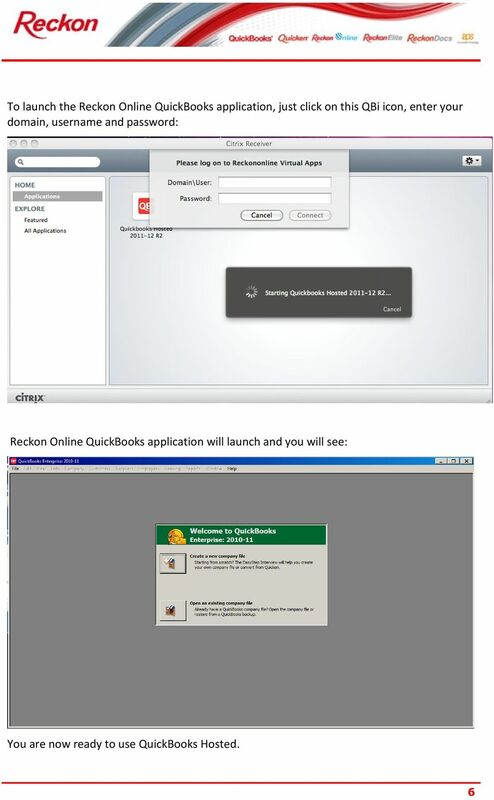 You can also use Citrix technology to connect an ordinary Windows PC to QuickBooks Hosted. 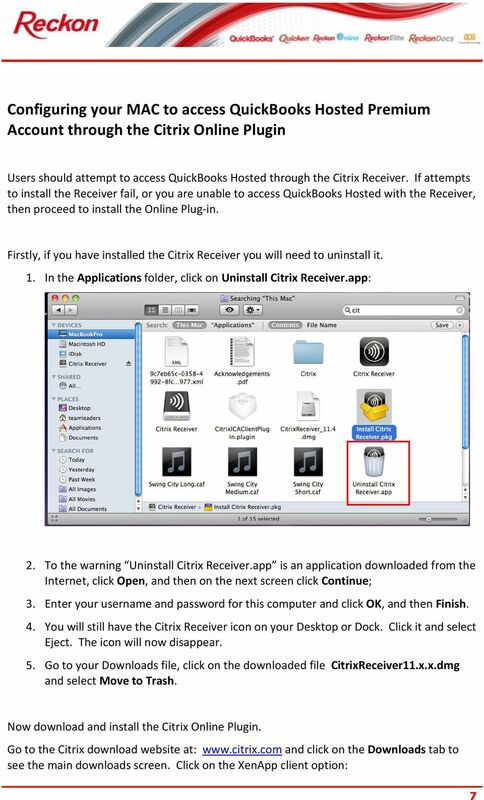 The first half of this document will outline how to install the Citrix Receiver on a MAC and configure it to access the QuickBooks Hosted Premium service, and the second half will outline how to install the Online Plug-in. Please note that computer, web, receiver and online plug-in technologies are developing technologies and significant changes do occur from time to time. The steps outlined in this document may need to be adjusted by a future update. Changes can occur at any time and without notice. 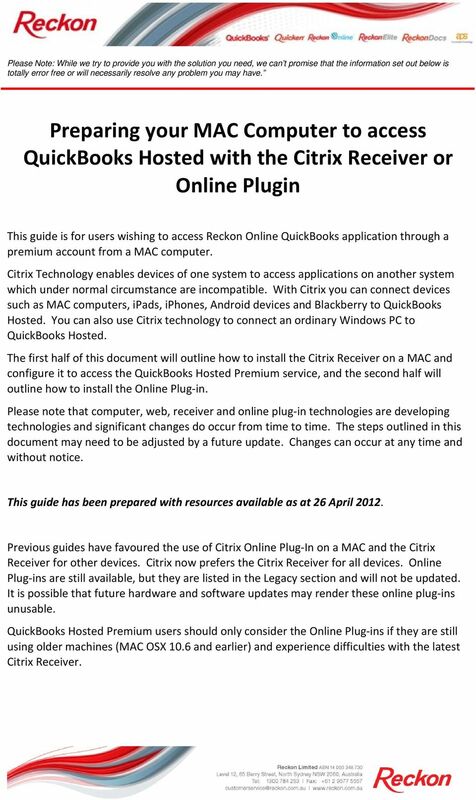 This guide has been prepared with resources available as at 26 April Previous guides have favoured the use of Citrix Online Plug-In on a MAC and the Citrix Receiver for other devices. 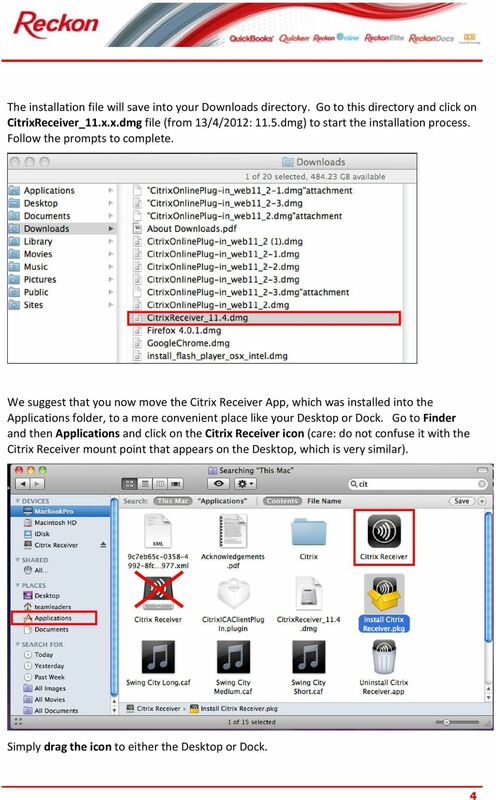 Citrix now prefers the Citrix Receiver for all devices. Online Plug-ins are still available, but they are listed in the Legacy section and will not be updated. 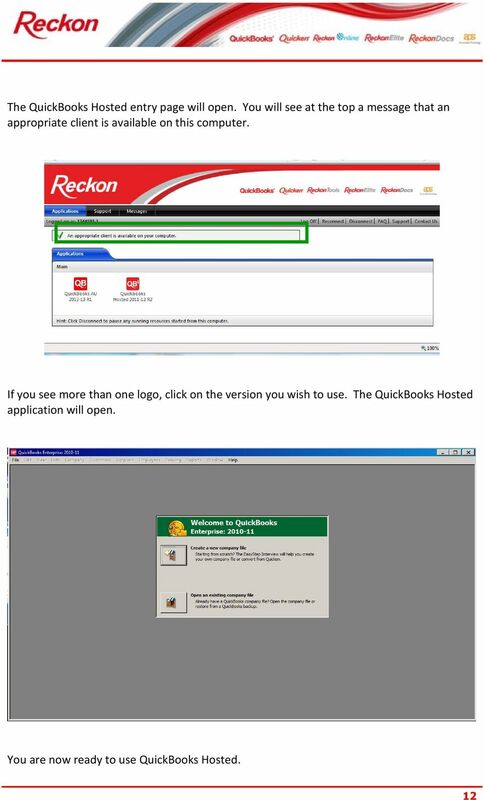 It is possible that future hardware and software updates may render these online plug-ins unusable. 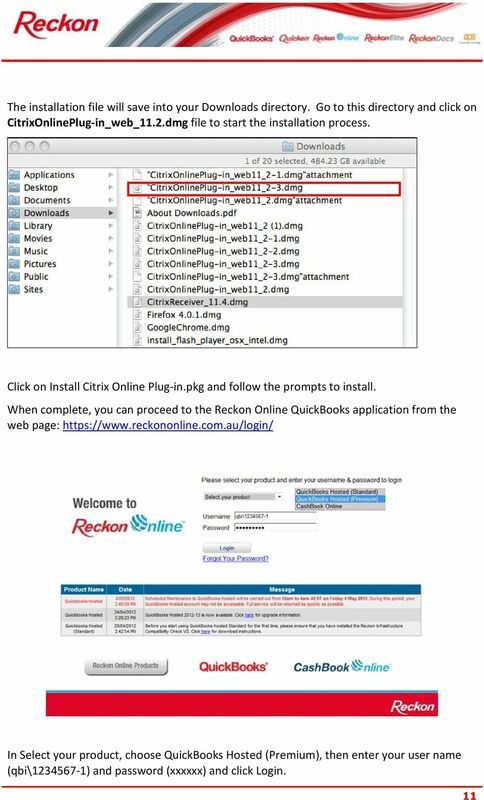 QuickBooks Hosted Premium users should only consider the Online Plug-ins if they are still using older machines (MAC OSX 10.6 and earlier) and experience difficulties with the latest Citrix Receiver. Instructions Step One: Download the Lexia Reading Software 1. 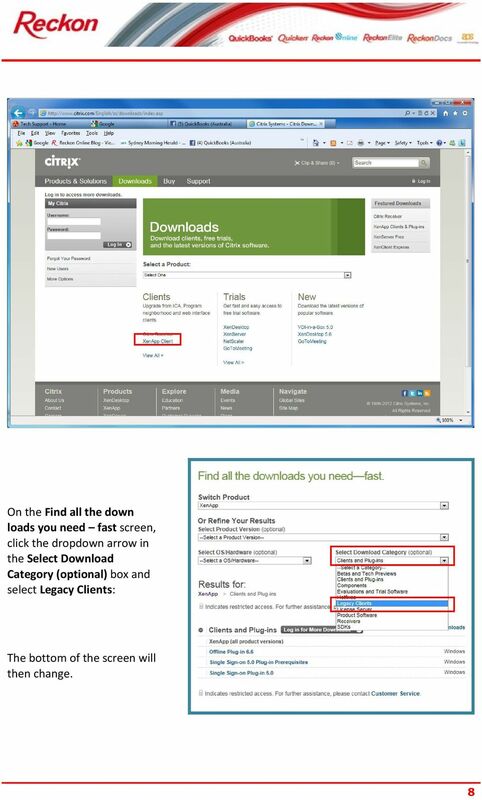 On the computer where you wish to install the Lexia Reading software, open a web browser and navigate to http://www.lexialearning.com/mylexia. Logon. Use your WCMC username (or your address) and password. 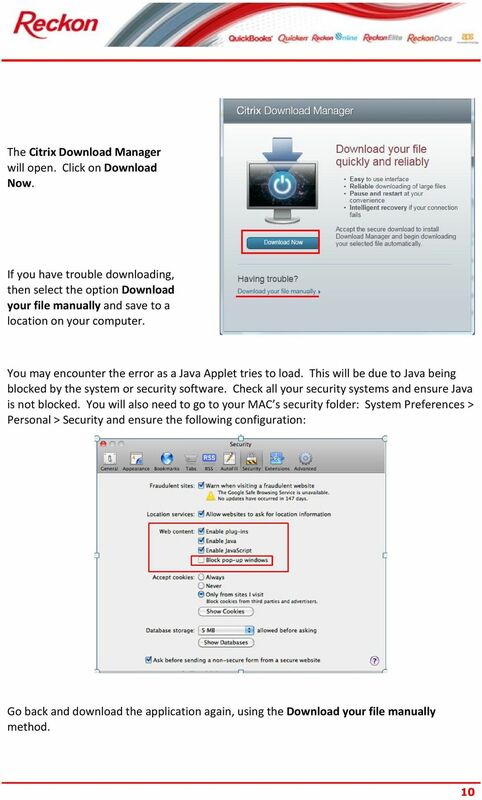 It is recommended that you use a clean installation of Lion client before upgrading to Lion Server.